What is a neurological problem? What if I am undiagnosed? This fact sheet provides information on clinical trials. Our fact sheets are designed as general introductions to each subject and are intended to be concise. For specific information on a particular clinical trial and whether you might be eligible, you should contact the researchers who are running it. Our Helpline team are also here to answer your questions and provide practical and emotional support. Call 0808 808 1000. You can download this fact sheet to view offline or print by clicking the link below. Clinical trials are a particular type of medical research. They are a scientific way to assess the safety and effectiveness of new treatments, procedures and therapies such as new drug treatments. The new treatments are compared with existing treatments to see if they provide improved results for patients. 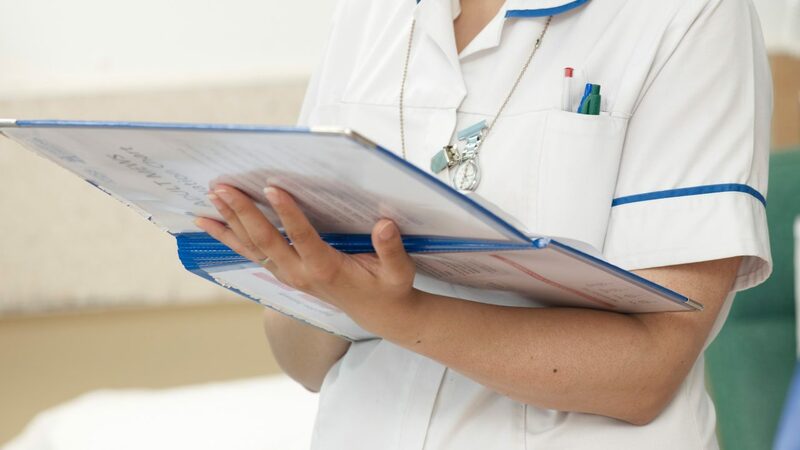 The health professionals, scientists and medical researchers who carry out clinical trials are restricted and governed by law as to how the trials are conducted. Strict guidelines must be followed and a set of specific rules is established for each trial. Before clinical trials commence, they must be approved by independent medical researchers and ethics committees. Extensive research is carried out in laboratories before new treatments and therapies are tested on people. One of the main purposes of a clinical trial is to identify the possible side effects of a new treatment. Adverse side effects might only become apparent as the trial commences. To reduce the risk, very small doses are given to people receiving the treatment in the first instance. How do I take part in a clinical trial? If you are a patient already receiving treatment, your doctor or specialist might ask if you are interested in taking part in a clinical trial. Alternatively, you could ask your doctor or specialist about trials for which you might be suitable, enquire at your local hospital, or search online for information on taking part in clinical trials. Researchers often make information available through registers of clinical trials which you can access online. You might need to have a health check or tests to see if you are able to take part. You will also need to sign a consent form. A key aspect of clinical trials is that participants give informed consent to take part, so you will be given specific information which describes what will happen during the trial and explains the possible risks and benefits. If you have any questions or concerns you should ask the people running the trial. Although your consent is recorded in your medical notes, if you wish to stop taking part in a clinical trial, you can do so at any stage. You do not have to give a reason and it will not affect your right to continue receiving the standard treatment for your condition. Are the results of clinical trials reliable? Researchers also involve large numbers of people in clinical trials to reduce the element of chance affecting results as it can when only small numbers of people are assessed. What happens during clinical trials? Clinical trials are divided into different stages. Only a small number of people, usually fewer than thirty, are required to take part in this stage of the trial. It is common for payments to be made to people participating in Phase I. Participants might be healthy volunteers or patients with a particular condition. This stage assesses the same main areas as Phase I but on a much larger scale. Phase II might involve up to a hundred people. With the results of Phase I, the researchers will have identified the most serious side effects and they will now look more closely at safe doses and the strength of the new treatment. All participants will be patients and they will be monitored closely to identify any changes to their condition. This might involve frequent tests and investigations such as blood tests, X-rays and scans. This stage is on a much larger scale again, involving hundreds or thousands of people from several different hospitals and often from several different countries. Phase III assesses whether the new treatments are more effective than existing treatments. It is at this stage that test groups and control groups are used to compare the effectiveness of treatments. Any side effects or impact on the participants’ quality of life are monitored closely. Phase III will only go ahead once Phases I and II have been completed and the researchers have evidence on safe doses and possible side effects. Phase III can take a year or longer to complete. Sometimes, if Phase III of a clinical trial is scheduled to take several years to complete, researchers produce interim reports on the results as the evidence becomes available. The safety, side effects and effectiveness of new treatments will continue to be monitored closely even after they have passed a clinical trial and are licensed for use. Will the new treatment be a success? Patients often consider taking part in a clinical trial if their standard treatment has not been successful. In this situation, it is natural to have high hopes and expectations of new treatments. However, it is important to remain aware that the purpose of the trial is to test whether a new treatment works. Unfortunately, there are no guarantees that it will. In many cases, clinical trials show that new treatments are not successful. Please tell us what you think of our information so we can keep improving it, and click the link below to fill in our feedback form. This information was last checked in November 2015. Due for review in November 2018. The Brain & Spine Foundation is a registered charity number 1098528. Registered as a company limited by guarantee number 4432677.